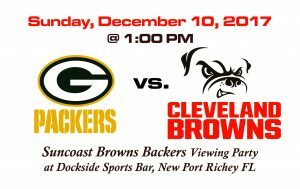 The Green Bay Packers are in Cleveland to play the Browns on SUNDAY, December 10th at 1PM. 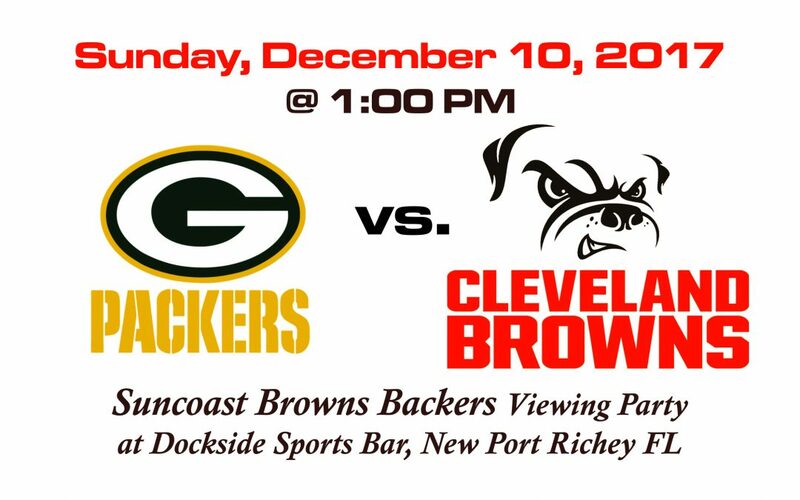 Come down to Dockside Grille for the Suncoast Browns Backers viewing party! GO BROWNS!